In 2015, President Muhammadu Buhari jerked up the pump price of petrol from N87 to N145. With that action, he pumped-up inflation by more than 100 percent. The market was quick in responding. Family purchasing power took a dive southward as wages remained constant. He had no mathematical metrics to address the outcome of his policy. His party, All Progressives Congress (APC), his image minders, horde of spokesmen, beneficiaries of his appointments and a set of hopefuls went to town with defenses on why Nigerians ought to suffer and enjoy later. The eschatological sermons about the virtues of Buhari’s policy induced pains broke many homes and destroyed family economy. The government itself became distraught as with time, it became evident even to ardent supporters of the failing policies that the economy had spiraled negatively out of control. Government was quick to come up with quick fixes which have also failed to plug the holes. Let me x-ray some of those quick fixes. President Buhari rarely mentions it anywhere. But his deputy, Prof. Yemi Osinbajo SAN, parrots it everywhere he goes. He tells anyone who care to give an ear that the administration he is part of has got some nine million kids eating a meal in school every day. For this, he posits that more than N48 billion has been spent making sure that kids have a meal in school. Note that the meals are restricted to primary school kids, mostly in public schools. Those in secondary schools are exempted. But the reality is that feeding children in schools is a useless policy. I will explain. First, what is the essence of giving a child a meal at school when he is not guaranteed one at home? Every child returns to his parents after school hours. So, what happens if his parents lack the capacity to feed him at home? While feeding kids in school may come off as incentive to keep them in school, what happens when they go to bed hungry, or go to school hungry? School feeding is the response our government came up with when it became evident that it had eroded capacity of parents to properly feed their kids. Any parent should be able to feed their kids. If our minds are properly structured to think, we would be able to realize that what our children need more are well funded public schools. Our children need free and qualitative education. They need functional school libraries. They need teaching aids. They need well-trained teachers who are paid very well -teachers who can easily buy, and own, cars. Teachers who can comfortably pay for mortgage or buy houses for themselves. Our children need schools with functional school transport systems. They deserve to learn in good school buildings not under trees. Not just a meal a day. Sadly, government policy ensured that earning capacity of most parents took a dive, even as they spent more to keep their families in good stead with unimproved salaries. For emphasis, a tour of all schools where school feeding takes place, leaves you wondering why infrastructure in same schools are what they are. Some pupils learn under trees. They are also fed under trees. Many learn sitting on bare floor. A proper analysis of the school environment would tell us that what ours kids need more are better schools, not meals. My take? Enhance earning power of parents, rebuild and equip public schools, make them more functional, pay teachers like you pay professionals and leave parents to feed their kids, even during school hours. N-Power which was designed and developed by the Buhari administration as an avenue to create jobs for Nigerians. Actually, it gives false hope to the job-seeking. As a matter of fact, it is a volunteer programme which has a terminal date. It pays N30,000 per month per volunteer giving one false hope about tomorrow. Many of the volunteers known to me have had their romance with the N-Power ended because new groups must be brought in. What this means in essence is that the administration, through its classic display of ignorance of the workings of the economy, pulled through some policies that ensured that many businesses were shut while many large employers of labour had to necessarily downsize. 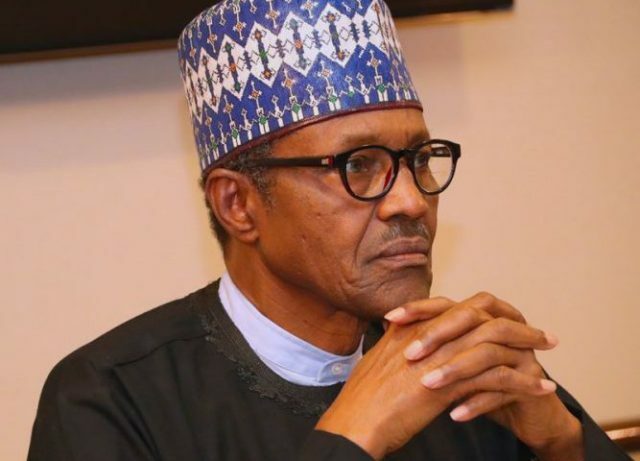 According to Manufacturers Association of Nigeria (MAN), 272 firms shut down in Nigeria as at August 2016, that just one years after the Buhari administration took over the mantle of leadership. Nigerian Association of Chambers of Commerce Industry, Mines and Agriculture (NACCIMA), puts the figure at 800 firms as at December 2018. The 2016/2017 fiscal year was heralded by massive job losses in the financial and manufacturing sectors of the Nigerian economy. Job loss statistics from the National Bureau of Statistics (NBS) are frightening. NBS said 20.9 million jobs were lost in Nigeria between 2015 and December 2018. NBS also detailed that unemployment figures as at third quarter of 2018 was at 23.1% against 22.7% it stood at the end of the second quarter of 2018. Spectator Index puts Nigeria’s GDP growth rate at 4% over the past five years while India and China grew at 45%. The index also puts our country’s unemployment figure at 36% behind only Greece with 38% and South Africa with 52%. Even claims by President Buhari that his ‘revolution’ in the agriculture sector had created 12m job is discounted by the NBS. Clearly, the failure of Buhari’s policies, which are parochial in design and execution, have had direct effect on job losses in Nigeria. However, the only thinkable response from the government was to front N-Power as job creation effort. Despite claims of huge amounts of money spent on it, the N-Power programme has been unable to radically affect the job creation ratio as the YouWin programme of the previous administration did. This is a most opaque of every programme created by the Buhari administration. Under this programme, the Buhari government makes budgetary provision for conditional transfer of cash to select persons across the country. The cash value is put at N5000 per recipient every month. However, so far, there is no evidence that this N5000 transfer to an unnamed list of persons, had altered their financial or social status. In other words, the plan to take certain unnamed person out of poverty sound very laudable on the books. In terms of delivery and outcome, it has remained opaque. Details of beneficiaries of such cash transfers are closely guarded secret. Criteria for selection is top government secret. Where the beneficiaries live and what qualifies them for same is known only to the Vice President’s office. Already, many Nigerians suspect that it was a very clever programme to raise money from the federal budget for re-election campaigns. Those who think so may not be wrong given that every detail about the cash transfers is top secret. This is another most dehumanizing programme that only works to expand the poverty index. It also comes as an attempt to plaster and open sore without treating the wound. Nigeria’s world ranking as the poverty capital of the world became possible because of government’s decision to shut down the economy in other to go chasing those it believes are thieves. By the action, businesses shut down. Some shrieked. Earning power dropped. Jobs were lost. But the inflation caused by the increase in the pump price of petroleum products remained static. The same government which told the world that subsidy payment on petrol was a fraud against the people, fell back to pay more than previous administrations did. The government refused to take proactive actions to refloat the economy by releasing money through payments for services rendered. Rather, it stock-pilled money an was happy to announce increase in the TSA and not increase in economic activities. Despite its foreign trips, it attracted no foreign investments and the level of FDI’s dropped such that Ghana became the top nation for FDI in sub-Saharan Africa. The only thinkable response to this glaring failure was tradermoni -sharing to N10,000 to traders in select states on condition of releasing details of recipients’ PVC. Though it has been seen a vote-buying, the reality is that N10,000 adds little or nothing to the family of a market woman who would need to spend not less than N1000 on transportation to take her wares to the market. Many do not relate the high incidence of avoidable deaths occasioned by high cost of drugs, or high cases of unmanaged health challenges to the 20% tax imposed on imported drugs by the Buhari administration in 2017 under its policy of import adjustment. By the end of 2016, government decided that it must end drugs importation into nigeria. To discourage that, it imposed a 20% tax on imported medicines. Prior to that date, Nigeria enjoyed 0% on imported medicines. Most of the affected drugs are not produced in Nigeria. And where they are produces, the pharmaceutical companies lacked capacity to meet demand. Of the about 300 drugs manufacturers in Nigeria, only five were certified by WHO as at December 2016. Drugs affected most are those used in the management of life-threatening conditions. Their prices jumped quickly in the market making it very difficult for many to manage their conditions with stagnant income. For instance, as soon as the tax was imposed, the market value of C-Dovan jumped from N1000 to N3000 while a vial of insulin moved from N900 to N3000. Also, omeprazole, used in managing ulcer moved up to N3000 from N150 while ketamine, an injection, became N8000. It was previously sold for N1200. Somehow, the drastic and immediate increase in the prices of medicines was a direct consequence of the 20% tax which pharmaceutical importers warned against but were rebuffed. As a further consequence, many Nigerians, especially civil servants whose salaries can no longer carry the economic burden placed on it, watch helplessly as their own die by instalment in many hospitals where same drugs are lacking. Many continually run to the public to beg for assistance. Agents and associates of the government do not feel this impact because London is just a presidential flight away. So far, however, the government has not been able to fashion out a workable response to this. It has no options. Death is an inevitable reality. But people want to be seen to have done the best they can in assisting their own, loved or unloved, in moments of health challenges. That has now been erode by government’s economic mishaps. The Buhari administration took a decision in 2017 to impose heavier duties on some imported goods. For instance, luxury cars, SUVs, boats, sport cars and other vehicles or facilities used for pleasure got a 25% tax increase. They moved to 35% from 10%. Sugar and salt got a 60% increase to become 70% from 10%. Alcoholic beverages moved up from 20% to 60% while cotton and fabric material moved up by 10% to become 45%. Rice got a 50% tax increase to hit 60% while packaged cement got a tax increase to 50% from previous 10%. Anti-malarial, antibiotics, crude palm oil, what flour, tomato paste and many others also got new tax rates. However, while many agree that there was need to outrightly ban certain item which can be readily produced in Nigeria, there was concomitant view that the high tariffs will rather increase poverty as it has the tendency to cause the shut down of some businesses. There are virtues which the government did not take into consideration in its action. Manufacturing companies in Nigeria depend on imported machineries an spares to remain afloat. This means they have to access forex at rates that could keep them in business. However, the Buhari administration, professing lack of understanding of the economy, allowed the dollar to hit N550 in the parallel market while it remained available to ‘friends of the throne’ at official rates at the CBN. The effect of this was that many importers who could not access forex at high rates, shut down. Many firms that could not access spares and machines, from abroad, to boost production, packed up. The government did not understand the connection between functional factories and foreign exchange. It also did not understand that Nigeria lacked the capacity to produce the goods it wanted to force their production here. The government failed to realize that no economy responds to military dictates. You don’t decree production. Production is a function of so many realities none of which this government has been able to satisfy, almost four years after. This government failed to see that reality and in hitting tables with clenched fist, believed that it could decree improved production capacity. In responding to this reality, the government started out nothing improved Small and Medium Scale Businesses funding. While it tours the country brandishing SME posters, its policies are working against the growth of same. Till date, it is not known what incentives the government had put in place to boost the manufacturing sector. Clearly, the Buhari administration does not understand the connection between its policies and economic growth. That is the major reason Nigeria went into recession, then, depression before we wriggled out thought the effects are still with us. We wriggled out of recession numerically. The impacts are yet to disappear.